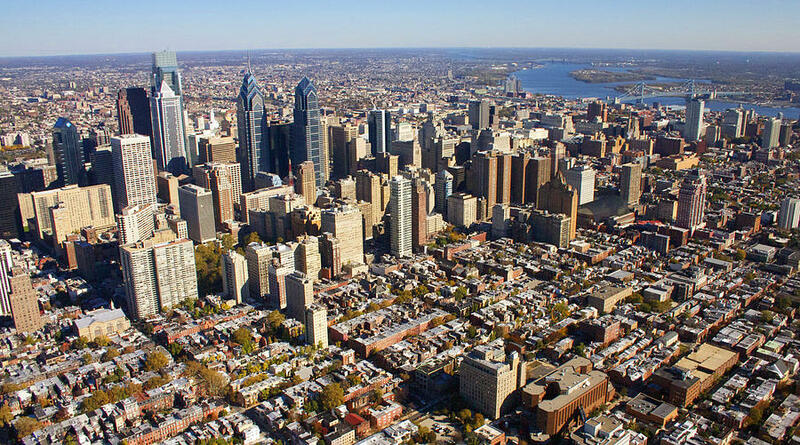 Granted a charter in 1701, Philadelphia, also known as "the City of Brotherly Love", is the fifth largest city in the United States with a population of just over 1.5 million people. According to the 2000 census, the population of the greater Philadelphia metropolitan area is almost 6.2 million people. Philadelphia is located in the mid-Atlantic region of the eastern United States, on the Delaware River and the border with New Jersey. It is approximately two hours south of New York City, and two hours north of Baltimore, Maryland. Philadelphia is ranked as the 21nd "Most Fun U.S City" in a survey conducted in 2010. Factors taken into account in the ranking include: the number of sports teams, restaurants, dance performances, toy stores, the amount of a city's budget that is spent on recreation, and other factors. Philadelphia is known as a city of neighborhoods. Philadelphia neighborhoods number over 100, including: South Philadelphia, home to the Italian Market; Germantown; and more. Long famous as the home of the Philly cheese steak and hoagies, Philadelphia is also home to numerous eating establishments that span the spectrum of culinary/cultural traditions. The center for evening arts activities in Philadelphia is the Avenue of the Arts cultural district on North and South Broad Street. This area is home to arts facilities such as the Academy of Music, the Kimmel Center for the Performing Arts, the Merriam Theater, the Prince Music Theater, and the Wilma Theater. For individuals looking for the Philadelphia club and bar scene, good destinations include the Delaware River waterfront, the clubs and bars of the Old City District, and South Street between Front and 9th streets, to name a few of the many destinations for evening fun. If you're interested in Philadelphia, please email your resum� with an introductory letter to to Dayna Lynn at dlynn@fsgltd.com or fill out the form below.